Alcohol and Running - How much can you drink? Do alcohol and running effect your pace as much as you think? If you are someone who never has a tipple, well done. For the rest of us, alcohol is often part of socializing and contrary to popular belief, even runners like a drink, or several. 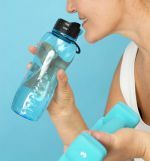 In fact several studies have shown that people who exercise regularly are also more likely to drink regularly too. (1) . Is this because running is a social sport and that alcohol is a reward for exercise? Here in France alcohol and running are pretty common. At lots of races you are offered a beer voucher for after the race. 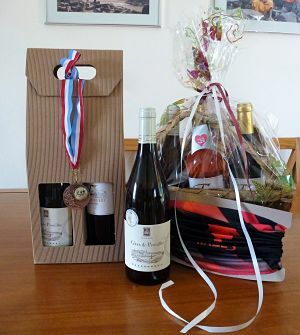 Then there is the wine/pastis and nibbles after the medal ceremony. Plus my local running club is famous for its "aperos" after the weekly club run. We celebrate everything from birthdays to wedding anniversaries, to moving house or just because ...... alcohol celebrates the social event. 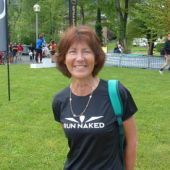 I admit that I am guilty of gulping down a beer (or more) after a race and then in the evening after my long run, a couple of glasses of chardonnay seem to slip down quite nicely. However I do notice that my heart rate variability goes a bit awol the next morning and my running pace certainly suffers. What happens when you have an alcoholic drink ? Alcohol and running (actually exercise in general) might seem as opposites to each other but they do share a commonality. They both trigger the same reward system in the brain. Whilst exercise triggers a natural reward by increasing the release of dopamine and that 'feel good factor', alcohol triggers an artificial reward. So so far so good. We all like to feel happy. However the effects of alcohol and running is not all so rosy. Although a certain level of alcohol can make us feel good, alcohol is actually classed as a depressant since it slows down your central nervous system which helps controls your motor coordination, intellectual processes and reactions, As soon as you drink a nice cold pint or a glass of your favorite tipple, your body goes to work to deal with the alcohol. First the drink enters your stomach and as it doesn't need much digesting, 20% of the alcohol immediately enters into your blood stream. Once in the blood stream, the alcohol moves rapidly to your brain giving you that relaxed feeling. The other 80% makes its way to your small intestine. < 5% is excreted in your urine. The rest is dealt with by your liver. Your liver releases enzymes to try and oxidize the alcohol and turn it into water and carbon dioxide. The liver is effective at processing roughly one standard drink measure per hour. So if you drink 2 or more alcoholic drinks in an hour, your liver can't cope. The alcohol therefore floats around you blood and tissues, waiting to be processed. So the more you drink in a short space of time, the higher your blood alcohol level is going to be. Ever wondered about the effects of alcohol and running performance? At the time, that extra glass of wine seemed like such a good idea but was it the cause of your poor race the next day? When you drink alcohol, your body responds by producing abnormally high levels of insulin. Insulin lowers blood sugar and so a night of drinking will lower your blood sugar level the next morning and cause you to reach for that can of coke. If you are planning a long run, hard workout or a competition, your body is going to struggle and lack energy. If you like a beer post race or post exercise, that can have an affect on your muscle glycogen recovery levels. Post exercise, your body will be looking to rapidly replace the glycogen that was used up during your run. Normally ingesting some healthy carbohydrates would sort that out. Research has found however that if you drink alcohol, this is often at the expense of ingesting healthy carbs and so your muscle glycogen stores fail to replenish which means recovery is going to be impaired. (2). Alcohol dehydrates you and gives you that horrible hangover the next morning. The reason it dehydrates you is because your body does its best to get rid of it by increasing your urine output. Dehydration and running do not go well together. Less body fluid leads to thicker blood which means your heart has to work harder to get the blood to your exercising limbs. Consequently they will receive less oxygen and so they are going to get tired quicker. How much fluid does your body need? It is generally accepted that 7 - 9 hours sleep a night is a good amount to aim for. As a runner you should aim for closer to 9 hours as your body uses the sleep time to recover from your training. Drinking alcohol before you go to bed is not going to give you the best nights sleep. Being a diuretic, you could be up and down needing a pee. Your natural sleep cycle is going to be disrupted which in turns alters your body's ability to store glycogen. Plus there will be an increase of the stress hormone Cortisol in your body. If you have a race planned for the next morning, you are going to lack energy, your pace is going to be slower, you are going to feel dehydrated and you are more likely to get injured. Alcohol is basically empty calories. There are generally very little nutrients in a pint of beer or a shot of spirits. OK a glass of red wine does have some health benefits (3), but in general alcohol and weight loss are not good friends. Not only that, often people who drink too much, don't eat as well either so that will also contribute to weight gain. Being overweight is going to slow you down and it is going to put more pressure on your joints so your injury risk is increased. Try running with a backpack with a few extra kilograms inside and see what a difference it makes. After a hard workout, your muscles and tissues may be a bit stressed and fatigued and will need time to repair themselves. You may even have an injury. Icing any sore areas is usually the first thing to do as you want to decrease blood flow to the injured area and to reduce swelling. However, alcohol does the exact opposite. Alcohol actually causes the blood vessels to dilate and to send more blood to the injured area. It also reduces the synthesis of muscles proteins which are vital for repairing worn and tired muscles. Is it OK to have a few drinks? Of course it is fine to have a few drinks. The key is to find a balance between social drinking and exercise and to understand that timing and quantity is important if you want to train and race well. If you want to do your best in a hard workout or race then don't drink in the 24 hours before. If you must drink then try and limit yourself to one or two and follow them up with at least equal mesures of water. Post race, prioritize non alcoholic fluids and healthy nutrition first in order to give your fatigued body what it needs. Spread out any alcoholic drinks and hydrate with water in between each drink. What are your thoughts on alcohol and running?